A brand new superior fibreglass roof was added to popular Doncaster shop Paper Kisses at the beginning of 2014, after they reported problems with their old roof. The roof of the tall building was unable to drain water away properly leading to constant pooling and puddles forming on the roof, which eventual began to cause internal damage to the site. 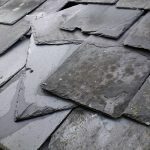 Due to the water remaining on top of the roof, the original felt roof had also become worn and was in a poor state prior to carrying out the work. After an initial survey had highlighted the problems, it was agreed that a fibreglass roof, which comes with a twenty year guarantee, would be the best for this particular scenario and a full breakdown of the work which was carried out is listed below. •	The stripping in full of all felt finish and timber decking boards. Some roofs may be overboarded. (New specialist decking boards have to be fitted for the system to work and be fully guaranteed). •	Lifting of coping stones and remove mortar bedding. •	Fit new tongued and grooved 0SB3 Sterling roof decking boards in full to all areas. •	Fitting of bespoke pre-made fibreglass trims to the roof perimeter and apply new resin coat and fibreglass matting to all junctions of such. •	Clean down the roof decking of all dust and apply laminate resin coat in conjunction with high quality fibre glass matting and to extend to bind in with the pre-fitted trims. •	Preparation of al joints with glasspaper in readiness for a final clean off of all dust. This job was however not routine due to the height of the building in Doncaster town centre. As a result, and to conform to all current health and safety legislation, and to prevent the potential of falling from a great height, our roofers had to work by using an inertia reel system with harnesses, rather than using scaffolding. Due to the locality and busy nature of the area, the work also had to be completed over two consecutive Sundays, due to the pedestrian precinct area where the property is situated. We also used a powered access boom for material and personnel transportation in preference to moving goods through the stores staircase. 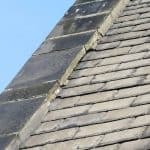 Should you have a problem with your commercial roof in the in the Yorkshire area, and be in the need of a roof repair, please do not hesitate to contact us on 0113 335 0043. 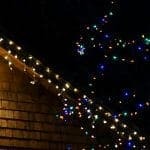 Regardless of height issues or difficulties in access, we have the professionals on hand to carry out your work to the very highest of standards.